Your prospects have a long list of tasks that they need to do and they choose to buy from you because you can sympathize with them and help them through their buying process. 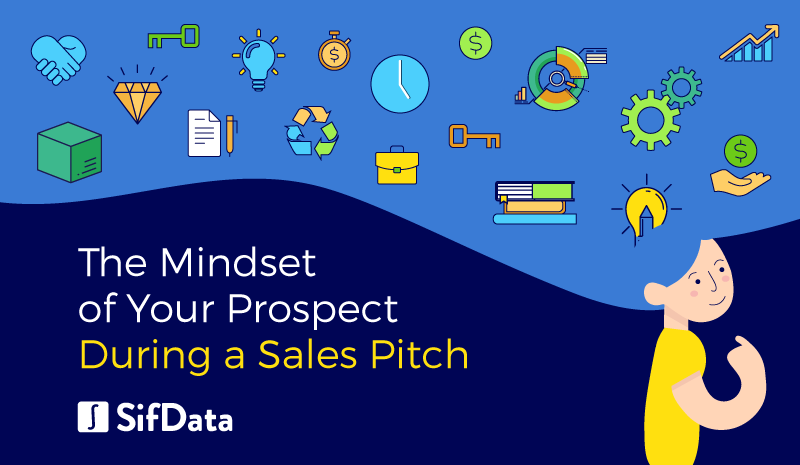 So what goes on through your prospect’s mind during a sales pitch? More importantly, how can you use that to increase your odds of landing a sale? There’s a reason most SDRs don’t lead their sales pitches with pricing plans, they begin with “What can our product do for you?”. It’s because your sales lead isn’t concerned with the price of your product, but what value they can extract from your product. Can your product help your prospect’s 10-person team increase productivity and save hours on busy work a week? Then focus on that first. Value-based selling is something every SDR needs to remember and incorporate into their sales pitch for higher conversion rates. Persistence is a great and valuable tool for SDRs, don’t get me wrong. But the moment you start your sales pitch, your prospect’s defenses will naturally go up. Allow them the freedom to walk away from a deal anytime they want and they will instantly become more receptive to what you have to say. If they have any hesitation, the best thing you can do is offer to help guide them to a solution that will help eventually close the deal. Anything more will simply push them away for good. It’s perfectly okay to make small talk with a sales lead in order to break the ice, just don’t become close friends with your prospect. Don’t get us wrong....cultivating a relationship with your prospect can be hugely valuable. It does make it harder for them to say no. However, don’t lose sight of the fact that you are in touch with them to sell your product or service, and not to become their best friend. If you ask them to grab a beer, totally cool. If you go grab a beer and then follow them on Facebook and engage with them on a personal level, and then use that to try to sell, you have taken it too far. Your job during a pitch is to educate and convert. By creating close relationships with all of your prospects, you are just lengthening your sales cycle. Be friendly and confident in your ability to sell, and don’t overcompensate by getting too close. Make their decision-making process as easy as possible by laying out all of your main points in the most concise way for them to arrange in their mind and decide yes or no. The difference maker between you and the next SDR is your ability to make the contract signing and onboarding as pain-free as possible. Assure your prospect that you know what you’re talking about and guide them through the buying process with authority. What’s the difference between my pitch and my competition’s? The difference between the product and/or service you’re selling and what the next salesperson is selling is usually not enough to sway a prospect in one direction or another. The real difference-maker in a successful pitch is crafting a compelling story that your prospect can understand and connect with, rather than rattling off benefit and features. On average, 6% of your key leads and contacts are changing jobs every month and 40% of the contacts in Salesforce are sitting under the wrong account. SifData surfaces these job changes in Salesforce in real-time. As a native Salesforce application, you can generate alerts and trigger processes to make sure reps are following up. Try it today by visiting SifData.